Emergency workers transported the driver who crashed into the pastor’s vehicle, a 69-year-old woman, to a nearby hospital. She was in serious condition and is receiving treatment. Reports indicate that the woman failed to see the pastor’s SUV before the accident. According to local police, there were three young children in the woman’s vehicle at the time of the accident. A full investigation into the crash is still underway. What Should I Do as the Victim of a Negligent Driver? A serious car crash is a traumatic an unexpected event. If you are struggling with injuries, it is important to remember that an experienced Miami personal-injury lawyer may be able to recover costs associated with high medical bills and lost wages. Wolfson Law Firm, LLP is an experienced Florida personal-injury law firm, and we have a proven track-record of success with accident cases. Call us today at 305-285-1115 to schedule an appointment and a free case evaluation. NBC News reports that a driver fainted and crashed her car into a Florida taco stand. Video footage shot at the scene shows the woman fainting behind the wheel before crashing into a truck and rolling her vehicle into the dining area of the taco stand. The driver of the vehicle, a 67-year-old woman, told emergency workers she has recently started having fainting episodes. Despite this new health issue, she says a local doctor has cleared her to drive. The woman says she suffered a fainting spell while driving down the road with her 80-year-old boyfriend in the passenger seat. He grabbed the wheel, but the woman’s foot was stuck firmly on the gas pedal. Fortunately, the car avoided pedestrians on the roadside. There were no serious injuries at the scene, and police have confirmed that she suffered a medical episode that led to the crash. According to Florida Highway Safety and Motor Vehicles, traffic accidents are becoming more common in the state of Florida. In 2013, there were 12.65 percent more crashes than the previous year. The number of serious injury crashes increased by 7.01 percent. At the same time, fatal crashes have declined by 1.37 percent since 2012. 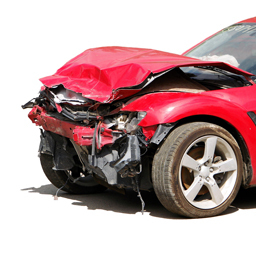 If you have suffered car accident injuries, call a Miami accident lawyer today at 305-285-1115. Wolfson Law Firm will handle all of the legal issues pertaining to the crash, and we may be able to recover costs associated with medical bills and lost wages.